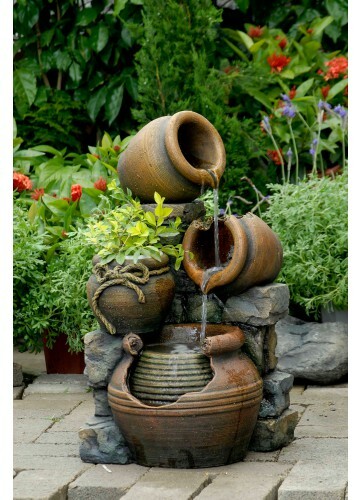 The muti pots fountain features three levels of pouring water! Water pours from one jar top to the next and ultimately pools into the bottom of the elegant Fountain. it also have a pot for planter. 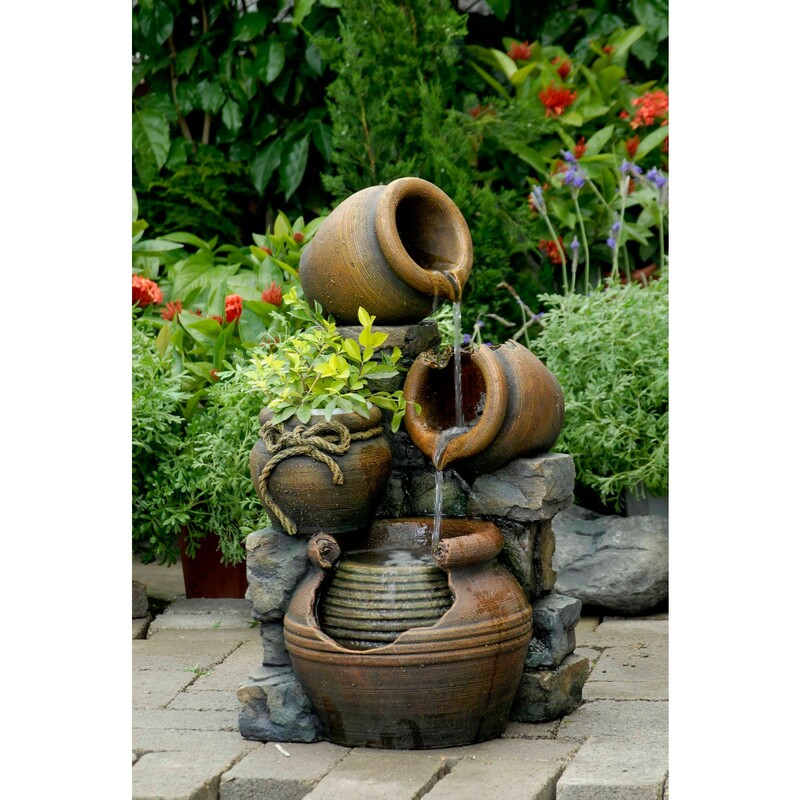 A simple yet beautiful fountain, this distressed look will make the perfect addition in your home or garden!